"And one night at about 10 o'clock at night — this is now months into it — Steve calls and says, 'I have the best acupuncturist in the world and I'm going to bring her to you tonight and she's going to fix you," Forstall said. 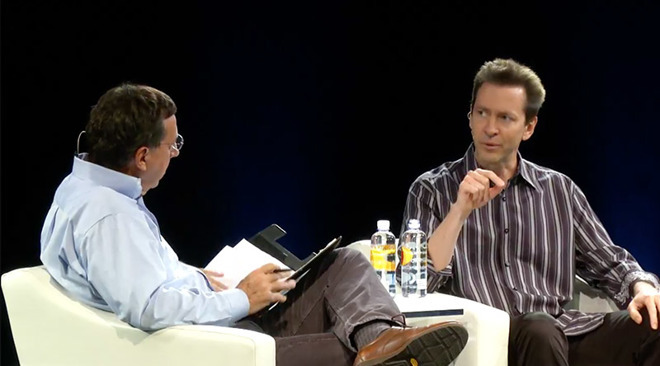 Forstall's commentary was the closing act in a two-part interview at the Computer History Museum in Mountain View, Calif. Before Forstall took the stage, three former Apple engineers — Hugo Fiennes, Nitin Ganatra and Scott Herz — talked with Markoff about their contribution to iPhone. The entire two-hour chat can be viewed below.